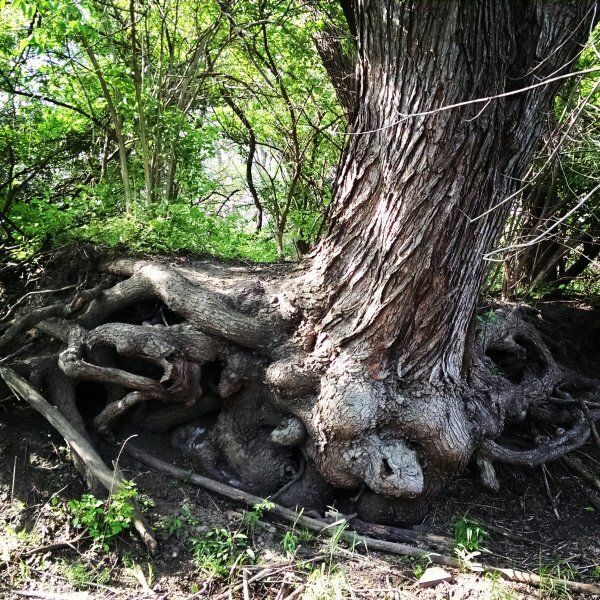 A simple way to celebrate Earth Day is just to get out and observe/appreciate something natural in all its beauty, like this incredible tree I came upon during a woods walk in 2016. It is Earth Day – one of those days that we set aside to be reminded of, to celebrate, and to think about something specific… like Mother’s Day, Veteran’s Day, and so many others. In this case, we’re asked to think about this beautiful planet we live on and how we might protect and preserve it, and make as small an impact on its resources as possible throughout our lives. I will admit I probably make a pretty average impact: I don’t live off the grid, I use a lot of plastic, and I drive a fossil-fuel car (though it IS pretty fuel-efficient). But I do have one major area where I know I make a difference, and that is helping keep discarded household stuff out of the landfill. I shop second-hand for basically everything except the stuff in the grocery store. If you read this blog at all you know I love to shop at the thrift stores, the online marketplaces, the flea markets, auctions, and antique stores – even the curbs! Over the decades I’ve come to love and appreciate the history and stories that used items have, so my second-hand shopping meets my personal aesthetic – but it has the added benefit of giving a new home to pieces that might otherwise end up decaying at the dump. I’ve spent the last several years buying and selling used furniture pieces to many talented painters and upcyclers, and I love being part of the chain in preserving a great piece… or even a not-so-great piece that needs repair. I’ve also painted and upcycled a few pieces of my own. Whether I keep them or sell them, all have found new homes instead of going on the garbage truck. 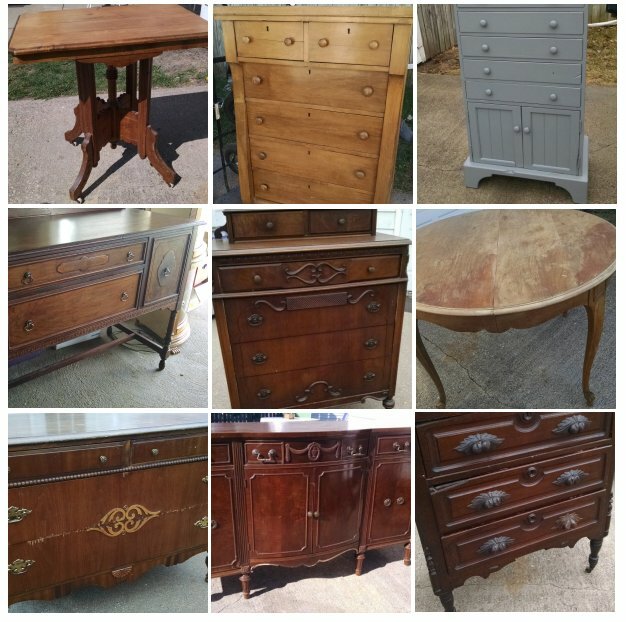 Just nine of the more than 100 pieces of furniture I’ve had the pleasure of rescuing over the last few years. Whether I bought to use or bought to re-sell, I helped keep every piece from going to the landfill. Donate it to second-hand stores. Donate it to a needy family you might hear about in the news or online. Have a yard or garage sale – yes it’s work, but it’s FUN and you get extra cash! List it for sale online at a rock-bottom price – CraigsList, Facebook Marketplace, LetGo and OfferUp are four services I have used. Now look, I’m not saying I’m a champion of the Earth or any kind of hero – my efforts are very small in the grand scheme of things. But they do make a difference, and I get a certain amount of satisfaction in knowing that my regional landfill is a little less full because of what I do. Happy Earth Day – may you enjoy and appreciate the beauty of our planet, and find a new way to reduce/recycle/reuse that brings you joy and makes a difference! This entry was posted in Secondhand Lifestyle. Bookmark the permalink.